The Maldon District is home to an array of stunning gardens that you can visit over the summer period. These open gardens are home to formal flower beds, herbaceous borders, wildlife walks, ornamental kitchen gardens, beautiful meadows and more. Some offer amazing views of the River Crouch, and others offer fine views of the Blackwater Estuary and beyond. They are not to be missed! Beeleigh Abbey Gardens are comprised of three acres of grounds, set by the private residence of Beeleigh Abbey, which dates back to the 12th century. For 2018, there are 4000 extra spring bulbs and planted walkways with a central water feature dividing the main lawn. April sees primroses, daffodils and tulips, with camellias, magnolias and fruit blossom. May has spring bedding plants and bulbs displayed in the mixed borders, along with magnolias, and rhododendrons. Bluebells lead to the tranquil river, and the wisteria walkway blooms between the rose and soft fruit gardens. In June, the many modern English roses in the formal beds, and on several garden walls, start to take centre stage. These are followed by the cottage and bog gardens & wild slower meadow in July. In August, summer bedding displays are at their peak. Roses reappear, with later flowering perennials in September. The open days at Beeleigh Abbey Gardens are always popular and are not to be missed. The glorious garden at Elwy Lodge offers a welcome that is hard to beat. Join the growing numbers of visitors who regularly return each season to sit and savour the different sights this exceptional garden has to offer in late spring, midsummer and then again in late summer. There is plenty of seating throughout the garden. This large cottage style farmhouse garden situated in the peaceful Essex countryside has mature trees, mixed borders, vegetables, greenhouses and a small flock of sheep. Developed from a neglected state over 12 years ago, Wycke Farm has a fine view of the Blackwater Estuary. Homemade teas will be available. Set in 3 1/2 acres, mostly paddocks, a little plot of loveliness wraps around a Victorian cottage, and roses smother the porch in June. A meandering lawn takes you through beds and borders softly planted, and is a haven for wildlife. Dean Harris, a local blacksmith, will have a pop-up forge on-site making and selling metal plant accessories. Ulting Wick is centred around three listed black barns and a 17th century farmhouse which provide the backdrop for exuberant planting in eight acres. It is comprised of thousands of colourful tulips, flowing innovative spring planting, mini annual wild flower meadows, herbaceous borders, mature weeping willows, and dramatic late summer beds with zingy, tender, exotic plant combinations. All Saints Church in Ulting will be open in conjunction with the garden for talks on its history. Ulting Wick offers beautiful dog walks along the River Chelmer from the garden, as well as lots of unusual plants for sale. New combinations are tried out every year, so visitors are guaranteed that no one visit is ever the same. Check out the open days at Ulting Wick, where homemade afternoon teas and refreshments will be served. Visits can also be made by arrangement from March to October for private groups of more than fifteen people. This cottage style garden set in 1/3 acre takes you through different sections filling you with surprise. Set in this ever-evolving garden, there is an abundance of hosta’s around a sub-tropical section with a wildlife pond, fruit and vegetable plot and stumpery. There is a range of roses including Rambling Rector and Blue for You. Meander around the parkland's ponds, lakes and walled gardens. Enter walled garden 'rooms' through long Wisteria broad walk and admire Mulberry parasol trees, unique to Braxted. The open gardens will be hosted by the star of BBC Radio 4's Gardener's Question Time, Bunny Guinness, who will be giving a talk at midday. This large, mature country garden has stunning views over the River Crouch. Formal terraces surround the house with steps leading to mixed borders packed full of bulbs and perennials, formal rose and herb garden with interesting water feature. A productive greenhouse, vegetable and cutting gardens complete the picture. British Red Cross Open Gardens take place from March until October this year. Over two hundred gardens will be open in England and Wales, including some that have never been seen before by the public. Mill End offers up to six individual gardens all within easy walking distance of each other. The gardens cover about five acres and include shrub, flower and vegetable beds, as well as lakes and woodland. This hamlet of cottages has gardens that range from the delightfully small to over two acres. Friary Walled Garden is Maldon’s secret garden and it is guaranteed to surprise everyone who encounters it for the first time. This unexpected green oasis covers just one fifth of an acre and hides behind ancient red brick walls adjacent to the award winning Maldon library. Through the wooden entrance door, you will find a lovingly restored garden with narrow footpaths and box hedges. It is believed that the site was cultivated as far back as the thirteenth century when it was occupied by a Carmelite monastery. Many of the plants found there today can be attributed more to the gardeners of the nineteenth century. The present garden is cared for by the Maldon & Heybridge Horticultural Society and it has a formal Georgian layout overlaid by a wild cottage type garden. It’s a delightful little refuge from the hurly burly activities of the town centre and it is usually open on the first Sunday of every month. RHS Hyde Hall is just beyond the borders of the Maldon District and has an eclectic mix of styles from traditional to modern. At the centre of the garden, you will find intensely cultivated planting schemes that slowly begin to soften and blend out into the surrounding landscape. Highlights include the Dry Garden with its fantastic range of drought resistant plants, and the Hilltop Garden with its roses and herbaceous borders. Hyde Hall is an inspirational backdrop for many exhibitions, as well as a number of craft fairs and other events which are held during the year. A range of horticultural, photography and art workshops are also held to fuel your creativity and passion for gardening. RHS Garden Hyde Hall is also home to the Clover Cafe, the Barn Restaurant, and the RHS Shop and Plant Centre, where you can pick up a great range of plants. Listed black barns provide backdrop for vibrant and exuberant planting in 8 acres. Thousands of colourful tulips, flowing innovative spring planting, herbaceous borders, mature weeping willows and more. Homemade teas will be available. The glorious garden at Elwy Lodge offers a welcome that is hard to beat. Join the growing numbers of visitors who regularly return each season to sit and savour the different sights this exceptional garden has to offer. This large cottage style farmhouse garden has mature trees, mixed borders, vegetables, greenhouses and a small flock of sheep. Developed from a neglected state over 12 years ago, Wycke Farm has a fine view of the Blackwater Estuary. Nestled betwixt farmland is a small secret garden that has a wonderful charm and serenity to it. Set in 3 1/2 acres, mostly paddocks, a little plot of loveliness wraps around a Victorian cottage, and roses smother the porch in June. Discover up to six very individual gardens at Mill End all within easy walking distance of each other. The gardens cover about 5 acres in total and include shrub, flower and vegetable beds as well as lakes and woodland. 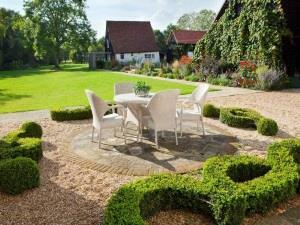 This cottage style garden set in 1/3 acre takes you through different sections. Set in this ever-evolving garden, there is an abundance of hosta’s around a sub- tropical section with a wild life pond, fruit and vegetable plot and stumpery. Village gardens will be on show, large and small, amateur and expert. Meander around the parkland's ponds, lakes and walled gardens. Experience the execution of the 10 year Parkland Restoration Management Plan. Walk through the Wisteria broad walk and admire Mulberry parasol trees, unique to Braxted. The glorious garden offers a welcome that is hard to beat. Join the growing numbers of visitors who regularly return each season to sit and savour the different sights. Admission includes access to 1 Whitehouse Cottages garden. Nestled betwixt farmland is a small secret garden that has a wonderful charm and serenity. Set in 3 1/2 acres, mostly paddocks, a little plot of loveliness wraps around a Victorian cottage. Admission includes access to Elwy Lodge garden. Full details of event to be confirmed but entries are now being taken to open your garden, size and content not an issue.